Summary: The Republic is at war against an adaptive foe that seeks its destruction. Not al Qaeda, which might no longer exist in meaningful form, but internal foes seeking its overthrow. That they’re moving incrementally, small steps slowly growing larger with each success, only masks the boldness of their goals. It’s the quiet coup. Here we look at the latest chapter in the war, the most recent rip torn in the Constitution. — Written by Benjamin Franklin for the Pennsylvania Assembly in its “Reply to the Governor” (11 November 1755). As the America-that-Once-Was evolves into the quite different New America, the identity of those responsible becomes increasingly clear. It’s us. Our disinterest in working the Founders’ machinery of self-government. Our passive acceptance of Empire and plutocracy. Saddest of all is our abandonment of America’s ideals, the end point of a thousand year-long struggle. These things are all seen in our reaction to President Obama’s white paper granting himself powers not seen in Anglo-American history since the Stuart Kings. Limiting the Monarchs’ right of arbitrary arrest and punishment of their subjects took 450 years, from the first tentative agreement in Magna Carta (1215) to its achievement in the English Civil War (1641-1662). Now, with our complaisance, Presidents Bush Jr and Obama have erased much of that progress. Two provisions of Magna Carta deserve our attention today, a gift to us from the Barons of 13th century England. Our ancestors spent much blood, sweat, and tears between that day at Runnymede and the meeting in 1878 at Philadelphia. The liberties provided by the Constitution were won over those 30 generations, by the unruly Saxons and Normans of Medieval England — and the Founders, jealous of their liberties and willing to fight for them. In the decade since 9-11 we’ve thoughtlessly thrown away political structures that took centuries to build. The Constitution is just a “paper bullet of the brain”, with no power except to the degree it lives in our hearts. That love appears to have died. 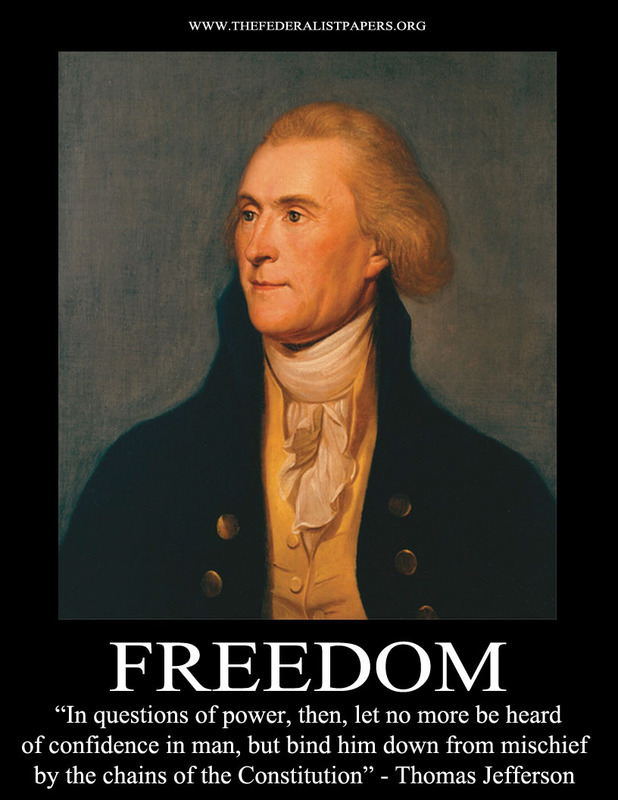 We allow our rights to slip away while trembling in fear before threats far smaller than those our forefathers defeated during the past 200 years. We’ve become weak cowards. There are no reforms that can prevent this evolution, no magical legal incantations or tricks of technology. The problem lies within us, as does the solution. Change, even redemption, remains a potential of every person and every society. We need the will to fight for our liberties, and ignore the siren song of those urging passivity as they’re stripped away. These people are the most dangerous enemies of the Republic. Far more so than Iran’s conjectural atomic bomb project or the threadbare insurgents fighting to gain control of third world nations in Africa and Asia. We will continue grow weaker, slowly and steadily, until we recognize our major foes. Liberties are more easily lost than regained. Get angry. Speak to those around you. Organize. At this point we can only start the basic steps eventually leading to reform. Conditions in America seem likely to worsen before many Americans can be persuaded to protest — let alone win back what we have lost. 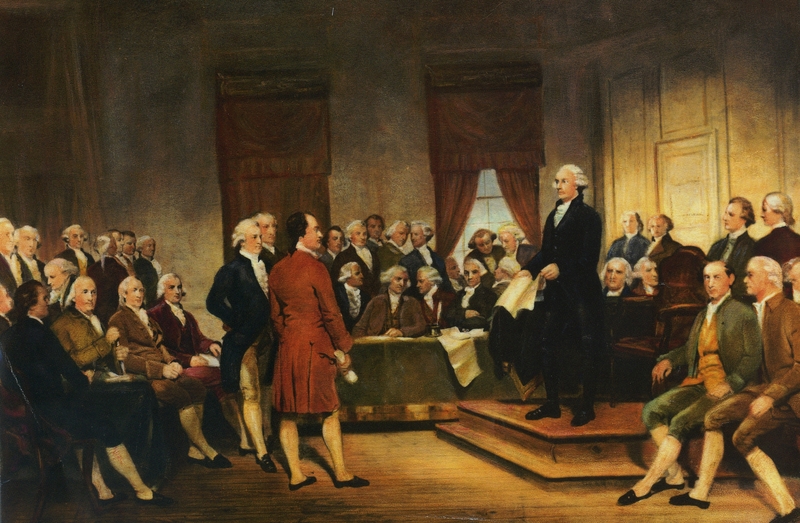 What would the delegates in 1787 think of today’s America?